Just Wills Nottingham, offer a professional and friendly service with a no obligation home consultation. 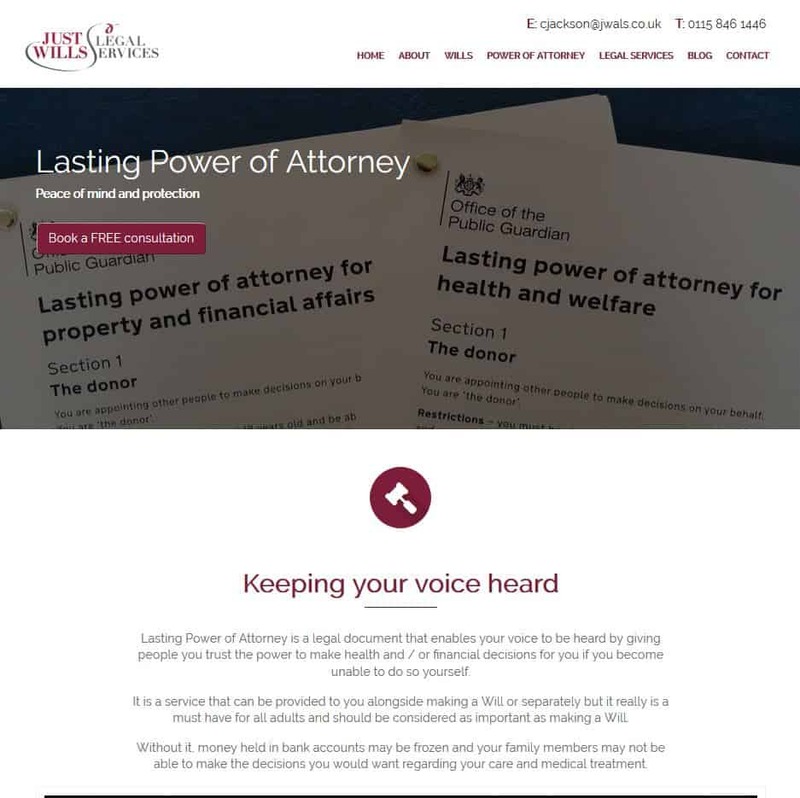 They are available for day, evening and weekend appointments and offer full estate planning to meet your every need. 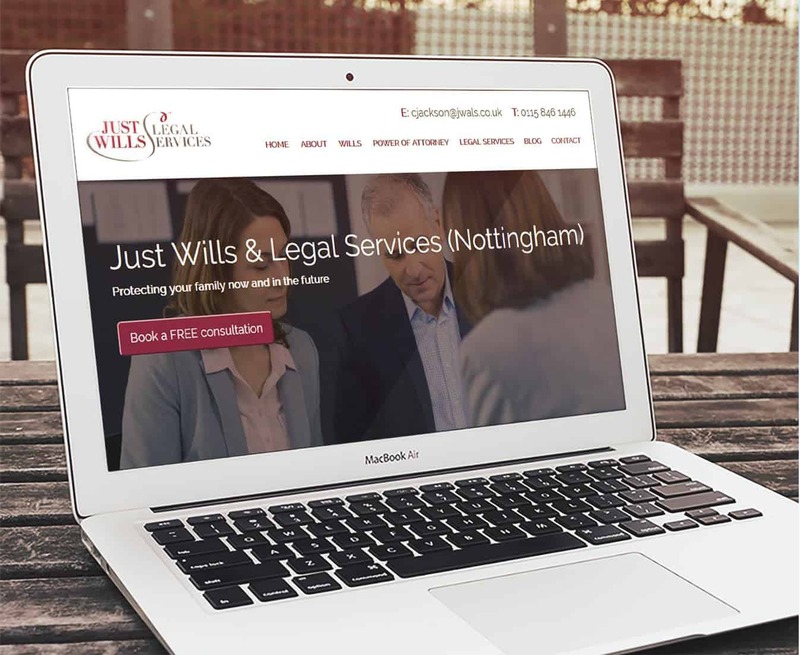 Just Wills Nottingham are part of a franchise that only offered a single page website for their business. This didn't give them enough space to showcase their range of professional services. We created a multi-page brochure site with room to expand in the future. We freshened their branding and provided them with their own platform to be found locally online.